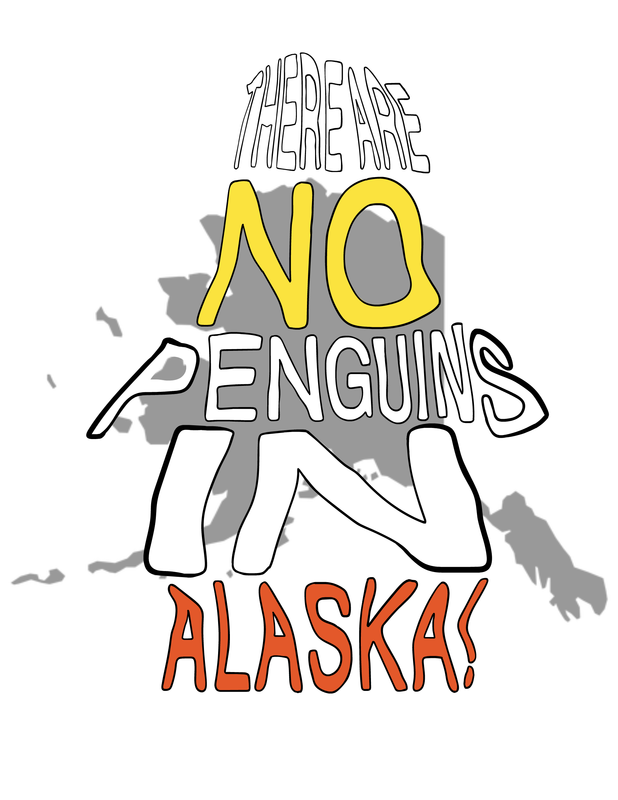 If you know you want a hard copy of the coloring book “There Are No Penguins in Alaska,” now’s the time to preorder it. Because we will be printing them in Russia, we will be unable to replenish our supplies between events. While we would love to sell out of them at Lilac City Comicon 2019 on June 1 and 2, we would hate for anyone to miss out on the coloring book just because they were later on our journey. So, if you’re going to be at City Cakes and Café for my author signing on June 5, or you’re going to find us at Ogden UnCon on June 7 to 9, or you’re coming to Amazing Las Vegas Comic Con June 14 to 16, preordering ensures that we will have a copy with your name on it ready for you to pick up. More importantly, you can order them at the convention price of $5 and not have to worry about shipping and handling. Just click on the link to the event you’re going to. If you aren’t going to make it to any of the events listed, but you can meet with us while we’re in Salem or during our journey, you can still get the $5 price. You just have to be able to pick the coloring book up. Otherwise, they are $8 plus shipping. If you have no idea how to order, or you know you are going to get one but you don’t want to officially order, leave a note in the comment or contact us through our Facebook page. We’ll set one aside and contact you about payment and delivery. Of course, preordering anything else you might want is also a good idea. Penguins take more than a day to make, so if we sell out of them, they’ll be gone. Other books we may be able to replenish, but there’s no guarantee. The best way to get what you want is to preorder! You can also order items directly from Amazon or on Amazon Kindle, but they will not be eligible for any discounts. Remember, members of our Patreon Penguinator team get $1 off for every $10 they spend at our table during an event. If you know you’re going to buy something from us, you might want to join our Patreon and get your discount as well as more information on creativity and stuffed penguins. 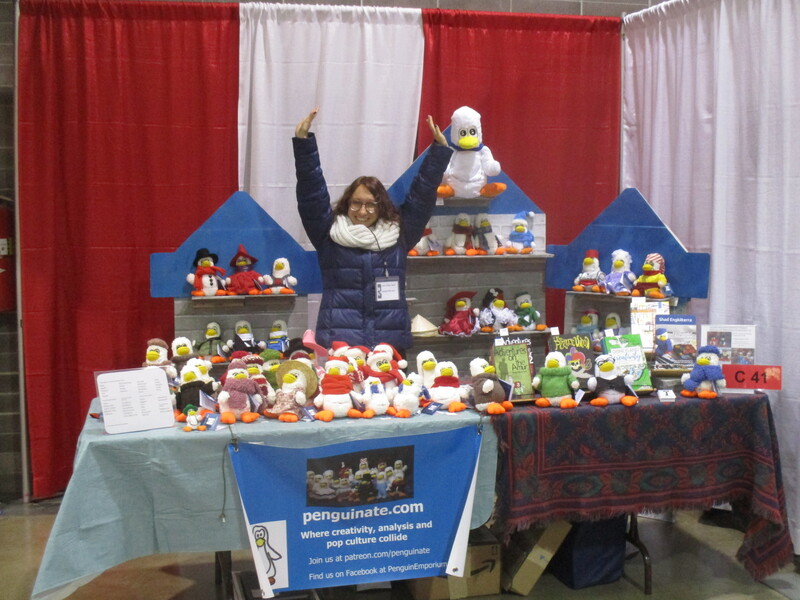 Penguinate Makes Epic Comic Convention Trek in just One Month! From Lilac City Comicon, we’ll head toward Salt Lake City, with a short stop in Idaho to relax, for my author signing at City Cakes and Café on June 5. I can’t wait to see what they have for dinner, and I’m sure I’ll grab some great vegan pastries. Ogden UnCon 2019 will be from June 7 to 9 in Ogden. The stars of “Black Sails” will be on hand as well as stars from “The Land of the Lost” – talk about retro! Drue M Scott is scheduled to be at our table, and we may have another special guest. On Sunday, I’m schedule to present “The Haunted Mansion: 50 Years of Creativity,” which will give attendees ideas for habits and activities they can do to become more creative. When we leave Ogden, we’ll head over to Moab in the hopes of seeing Arches National Monument. After that little bit of relaxation (and celebrating Jenya’s birthday), we wind up the tour at Amazing Las Vegas Comic Con 2019. Of course, this travel schedule may seem epic, but it won’t truly be epic unless you show up. Come by and say “Hi!” If you can’t make it to one of our events but are in the area, let me know I’ll see of I can make it work to meet up. We have some time after Amazing Las Vegas Comic Con to set up other events if you have a lead on something in the west that’s inexpensive. For those who want signed books sent to them, just use the order form on this website and we’ll get them to you as soon as we arrive in the U.S. If you want one of our books or penguins, preordering will ensure that you get what you want. Our supplies are limited, so click on the event links above and order what you’d like. We’ll have them ready for you at the event, and you won’t have to worry about us being sold out! Remember, everyone of our Patreon Penguinators gets a discount on items bought at our events. Join today at any level! The good news is: Jon Heder found more acting work. The bad news is: it interferes with his scheduled appearance at Lilac City Comicon 2019, so he will not be in Spokane for the convention. 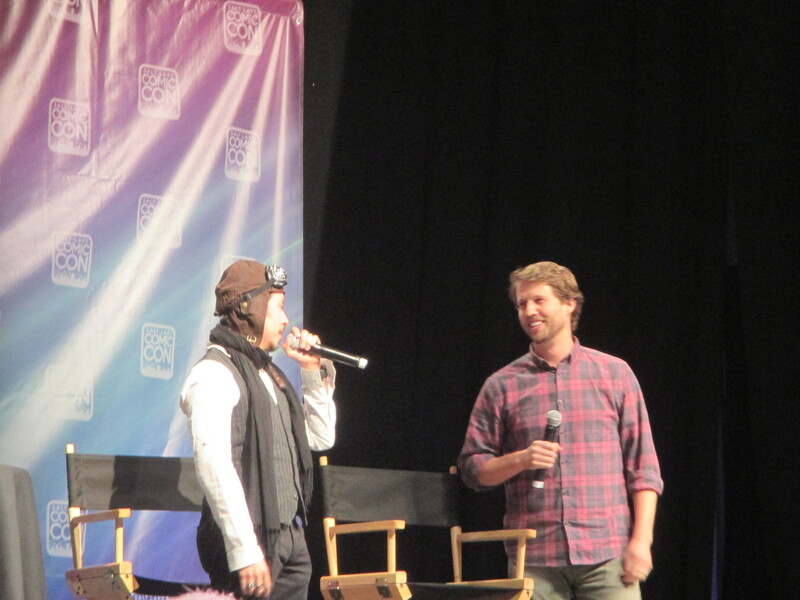 In 2014, I got to see Jon Heder as part of Salt Lake Comic Con’s (now called FanX) “Napoleon Dynamite” reunion. Heder and co-star Efrin Ramirez took the stage to talk about the movie, its effects on their lives, and what it meant to them. Heder was convinced to try to recreate the infamous dance routine, which he said he couldn’t really remember because it was improvised. While Heder is no longer scheduled to be in Spokane for Lilac City Comicon 2019, these guests are still on the docket: Chris Kattan, WWE wrestler Hacksaw Jim Duggan, and “Stranger Things” star Randy Havens. Get your tickets for Lilac City Comicon 2019. Remember that guests may change for any comic convention as actors book acting gigs or other obligations may pop up. Be sure to preorder your penguinate.com penguins, books and other merchandise and have it available for you at the convention. Same convention pricing, just pick it up at our table. You can read more about the Salt Lake Comic Con 2014’s “Napoleon Dynamite” Reunion at our archive at www.penguinate.weebly.com. Or watch videos from the Salt Lake Comic Con 2014 on YouTube. There is a lot of misinformation about Alaska that Alaskans hear from tourists and see in movies and TV. Some people think the money is different. Some people think everyone lives in an igloo. Some people think that there’s gold lying on the beaches waiting to be picked up. And some people ask where they can see the penguins in Alaska. There are no penguins in Alaska. When I left Alaska in 2012 and traveled through the Lower 48, I got asked a lot of questions about my time in Alaska. Does it really stay light for 24 hours a day in summer? How cold does it get really? What do you do for fun in the winter? What’s the best part of living in Alaska? Why did you leave? Did you see any penguins while you were there? I would answer each of the questions as well as I could. For the last question, I would point out that Polar Bears would eat the penguins and that there are no penguins in Alaska. Well, my art skills haven’t improved much over the last year, but fortunately, I was able to find a couple of artists to do the work. Antonisa Scot and Oscar Feliz of Transcend Studio put together “There Are No Penguins in Alaska” and now it’s ready to be published. In fact, you can preorder it on Kindle and as a hard copy coloring book at penguinate.com. However, there is a catch. In order to publish “There Are No Penguins in Alaska” as a coloring book at a reasonable price ($2 per book my cost to retail at $4), I need to order 750 or more copies. That’s $1500 for anyone playing along. I could get fewer copies, but the price goes up pretty drastically, capping out at $5 a copy for 50 copies. That’s only (Haha! Only!) $250 but then I would have to charge $10 per book to make any money. Who’s going to buy a coloring book for $10? Maybe you, since you’re reading this, but not most people. Most people won’t even spend that on a regular kid’s book or any eBook. Other writers or artists, at this point, would probably launch a Kickstarter, or maybe they would’ve launched it sooner. I, on the other hand, realize that I will publish this book in one form or another, and a Kickstarter would take away from my opportunity to write more books before I start touring the inland states in June where I will sell my books at Lilac City Comicon in Spokane, City Cakes and Cafe in Salt Lake City, Ogden UnCon in Ogden and Amazing Las Vegas Comic Con in Las Vegas, as well as any other bookstores, coffee shops or venues on the way that will have me. In lieu of running a Kickstarter, which would definitely kill one or both of the books I plan on finishing before June, I am offering a presale. The price for the preorder is set at $8 in case I have to settle for the higher printing costs and to account for shipping and handling, which is more expensive than people would believe. If I can get 80 preorders of the hard copy and/or the Kindle version of the book, I will find the other money I need to print the rest of them. Even if only two people preorder, I am still going to print them, just not in the massive quantity of 750 or for the cheaper price. In case you haven’t heard, “There Are No Penguins in Alaska,” and I wrote the book on it. Penguins, polar bears and Eskimos all live in colder climates, so many people come to Alaska expecting to see penguins! However, there are no penguins in Alaska. If you would like to know what kinds of animals live in Alaska, my children’s story, featuring the drawings of Antonisa Scott and Oscar Feliz of Transcend Studio, talks about bears, sea life, birds and more while imploring the reader to remember that there are no penguins in Alaska. It’s available on Kindle for preorder and will be delivered Feb 28, 2019. You can preorder a hard copy coloring book here at penguinate.com! Alaska is a beautiful country with wonderful summers and long, dark winters. To experience it fully, you really need to live there. If that doesn’t appeal to you now, after going through this coloring book, it may, especially if you have an irrational fear of flightless birds because there are no penguins in Alaska. Get your copy ordered today! Going to Lilac City Comicon 2019 is exciting. You get to meet guests like Jon Heder, “Hacksaw” Jim Duggan and Chris Kattan, and there are plenty of fan items that you can’t get easily anywhere else. If you want to get the most out of your #LCCC2019 experience, now is the time to start, and preordering is a part of the process. How does preordering help you? If you’re like most people, you have a monthly budget that includes a little bit of discretionary spending. Often, it’s difficult to save this money, and you may find that you’ve spent it on coffee, music downloads, or something else you don’t really need. By preordering items for #LCCC2019, you’ll be able to take that discretionary spending money and turn it into shopping surprises at the comicon! For a business that makes handmade items like penguinate.com, you can order special-made items to match your tastes and fandom. If you like a particular Power Ranger, Pirate of the Caribbean, Doctor Who or are a member of another fandom, preordering allows you to get the penguin cosplaying in a way you want. Preordering also ensures that if something gets sold out, you won’t miss out. Your items will be waiting for you at our booth, and you won’t have to miss out on the hottest items available. When you preorder, you still get convention pricing. This means that you’ll get our best price. You don’t have to worry about shipping and handling charges because you’re picking it up. Be sure to get your Lilac City Comicon 2019 VIP tickets first, and then place your order for stuffed penguins, The Haunted Mansion Is Creativity and other books, motivational posters and pictures. You can order any penguin that you see on our site or come up with your own costume for the penguin to cosplay in. (You could go as twins.) If you need reasons to preorder, check out the top 3! Give me my stuffed penguin! Which costume would you like? Patch Penguin ready for adoption! Order your books here. Then they can be ready for you and you won’t have to worry about the stock getting sold out!